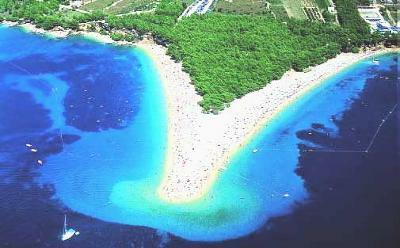 Caption Brac is situated between islands Solta and Hvar and it's biggest middle Dalmatian island with 395 km2 of space. With it's unspoiled nature; beautiful beaches ; cultural and historical attractions; and well developed tourist and sports facilities Bol is one of the best known tourist destinations in Croatia. ___________________Easily reachable by plane via Brac or Split airports. By care take the every hour on the hour Ferry.